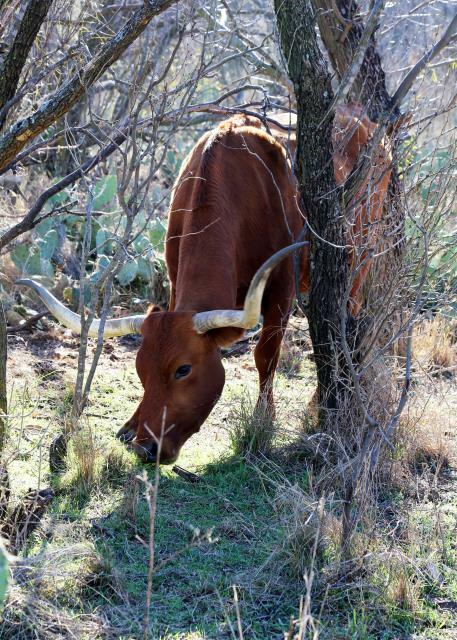 The longhorns are in the park midsection along the trails. Be aware of them and leave them alone. They won't bother you if you don't bother them!